Now that we have covered the clothing basics, I can finally talk about one of my favorite topics…SHOES! I have picked 5 “easy to wear/go with almost anything” styles and 1 wild card ; ) If you see something you like, follow the links below the photos for my bargain finds. 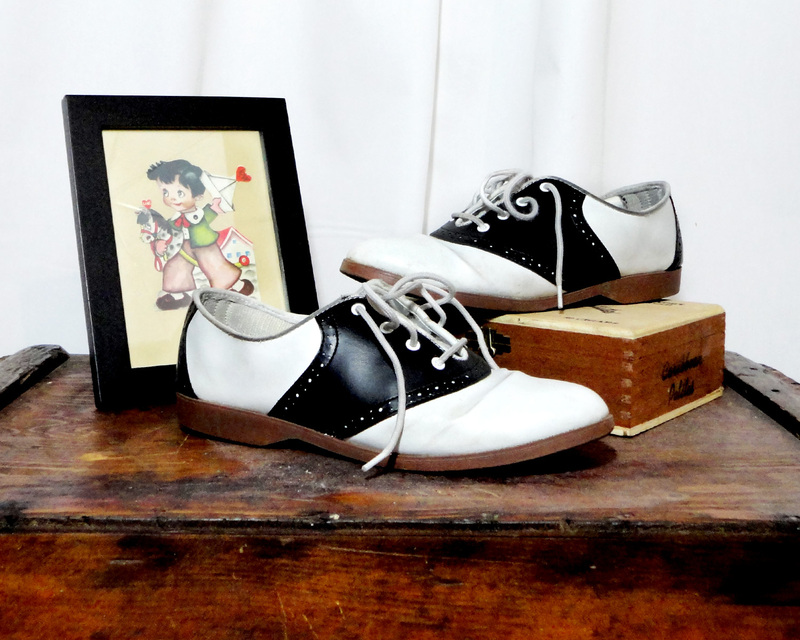 1) Saddle Shoes. What ever the outfit, these guys in the classic black & white are a go-to. Check out this link for a great option: $29.99 from Amazon. 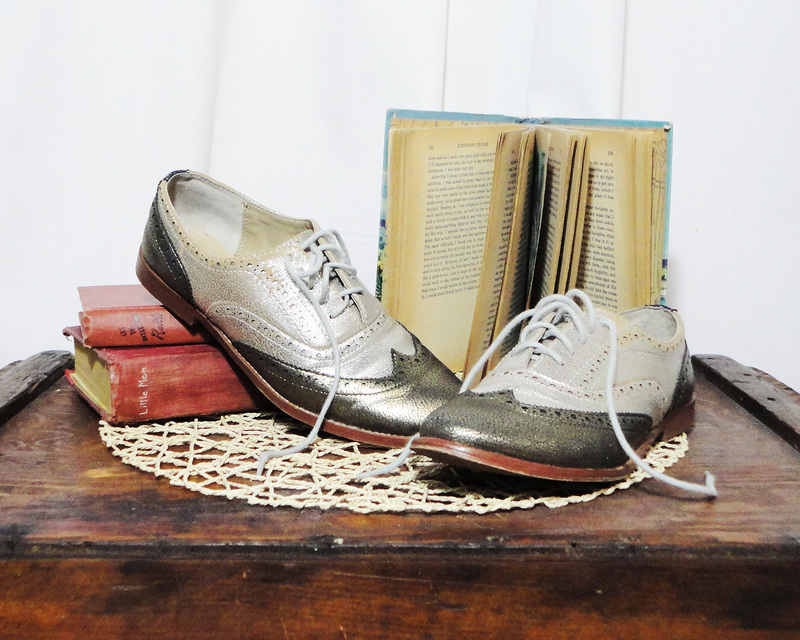 2) Boogie Shoes (Oxfords). While mine are in a 2 tone metallic, you can find a plethora of fun eye-catching options out there! I personally have just added these Orange Ollio’s to my list. 3) Black Mary Janes. Need a little lift? 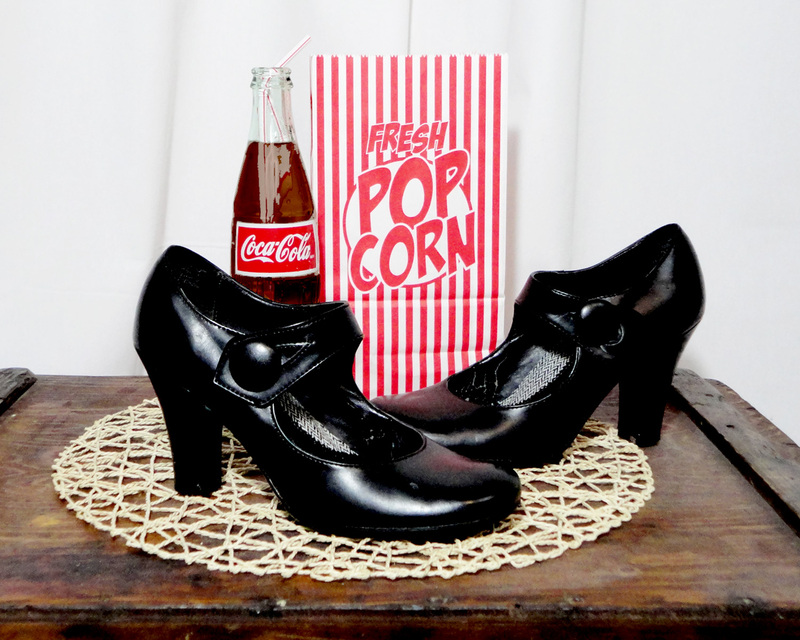 Look no further than a pair of black mary janes. Easier to walk in then most heels thanks to that friendly little strap, try these Journee pair from Target for $34.99. 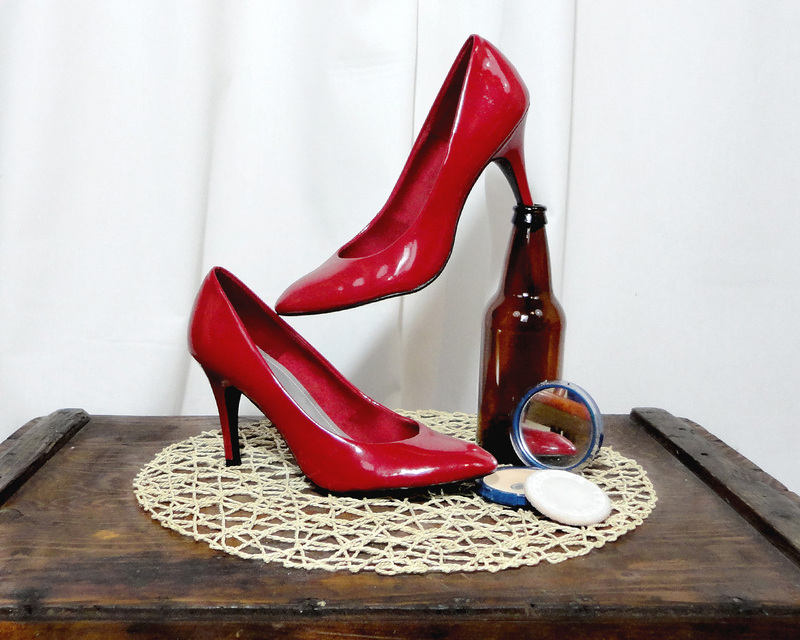 4) Red Patent Leather Pumps. I have heard that matching your lipstick to your shoes is tacky but when your shoes are candy-apple red, how can you resist?! Bargain find: $34.99 from ModCloth, make sure to read reviews. 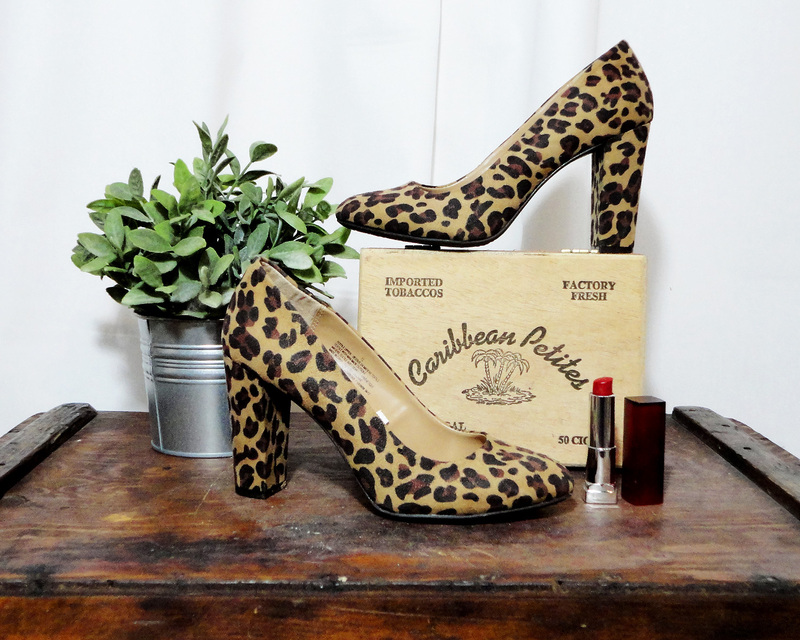 5) Leopard Suede Pumps. Got a date? These will keep ’em on their toes! Choosing suede rather than a shiny finish makes leopard much more approachable if you are new to the print. Take a look at these $34.99 babies from Amazon. Choose something unexpected! 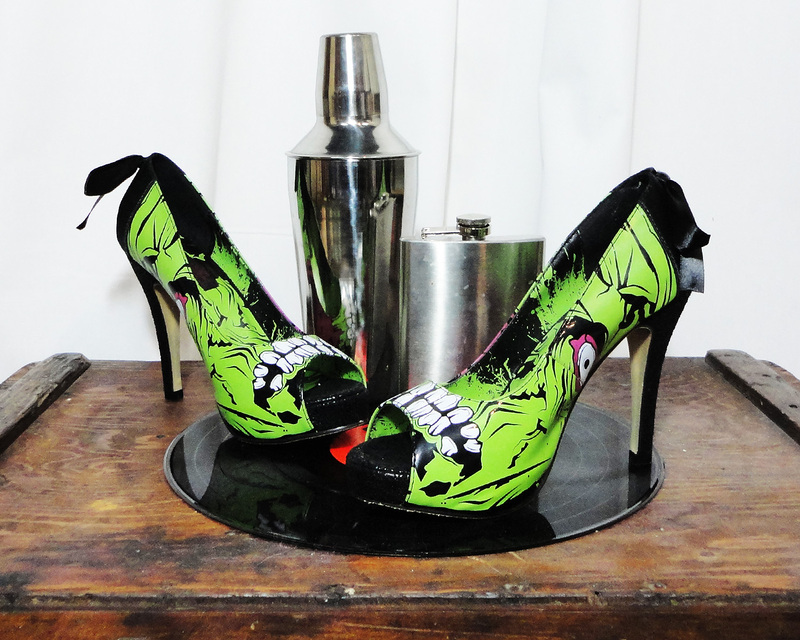 My choice: Zombie Peep Toes. These were a birthday present a couple years ago and they still remain one of my all time favorites. From Iron Fist $35-50 depending on size. 5 Pieces to a Pinup Closet! So I have talked to many gals who are interested in dressing in the pinup vintage style but they have no idea where to start. I feel ya girl and the answer is right here! 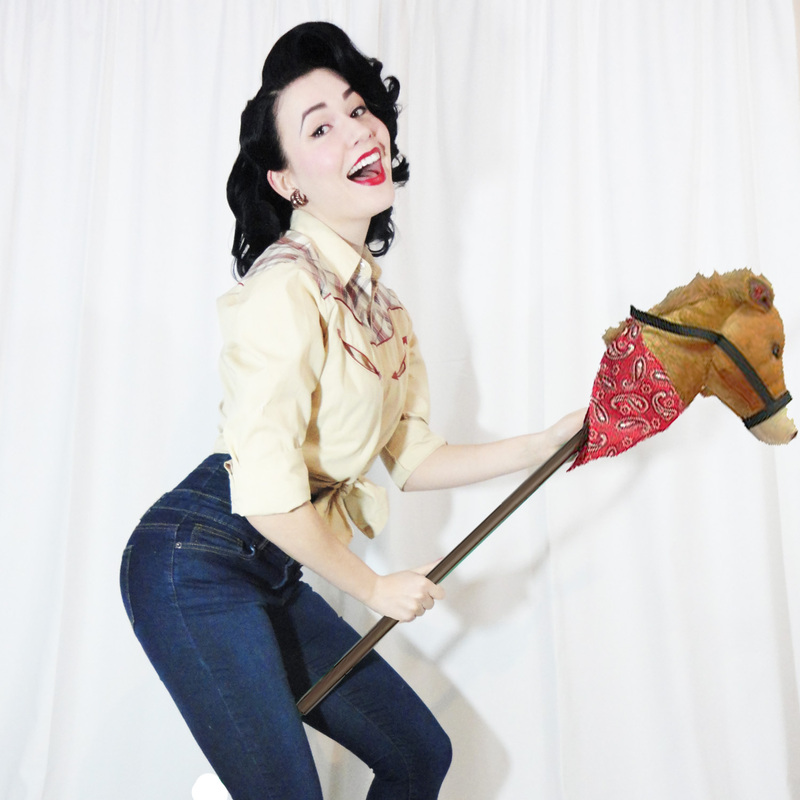 You may be new to pinup/rockabilly/ vintage/psychobilly style but whatever subculture spin you put on it here are the 5 must haves every doll needs and where to find them on the cheap! Until the surge of the legging, jeans have been a staple in nearly every closet in every city, town and country. While you can come by many high rise styles, high-waist styles are much harder to find. Keep an eye out when you are shopping stores like H&M and Forever 21. If they happen to have a pair and it fits, buy 2. These things are like unicorns, so you won’t regret it. When ordering online even if it says “high waist” take a good look at the photos. Is the model’s belly button showing? If yes, these are not high enough. You want the jeans to come up to the skinniest part of your waist. Below are a few sights that I have found to have true high-waist jeans at an affordable price. Here many of the same rules apply as to high-waist jeans. The skirt must cover your navel. If it doesn’t, you will be wasting your god given gift of curves. The goal is to accentuate them! The skirt can have belt loops, not have belt loops, pockets, no pockets… doesn’t matter. I personally believe in skirts with a pieced in waistband, just below the knee and not too stretchy. What’s the point of wearing something tight if it’s going to let everything fly all over the place anyways? Solid colors are always a good place to start, as they can be paired with many different tops and are less noticeable if you decide to wear it 2x in a week. Below are a few links to my favorite places for them. Google “Thrift Stores [Your Area]”. Seriously. You can find adorable pencil skirts for around $2 a pop! I often go to the local Salvation Army and St. Vincent de Paul. This skirt from ModCloth for $39.00 may be pushing the budget, but for a staple piece like this black high waist pencil skirt, I would say it is worth it. How does a pinup stay smokin’ hot AND warm at the same time you might ask? The answer is cardigans. This is one of my all-time favorite categories in my closet. I’m getting giddy just talking about it! Here are reasons why I love them. 1) They are cheap. 2) Can add a great novelty factor to any outfit. 3) Easy to find in most modern stores. $14.95 at H&M and they come in a plethora of colors. With faux pearl buttons for $12.90 at Forever21 this adorable number is a must have! Easy Iron Shirt $14.95 at H&M. Love the classic blue stripe. BSNY Men’s Gingham Button Down – Navy/Red $17.48 on clearance at Target. This guy has some super cute contrasting fabric details! These can come in many different forms, but the thing to remember is accentuate the things you love about your body. Confidence is by far the sexiest thing you can wear. 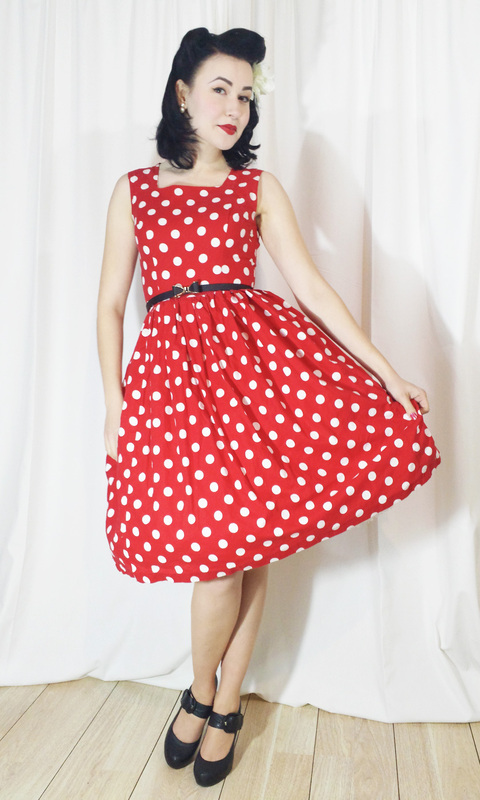 I personally like my waist and my arms, so therefore my favorite dresses to wear are swing style dresses. They emphasize a small waist while giving you a lot of legroom and coverage. If you love your booty and hips try a wiggle dress. Main thing to keep in mind is emphasize that hour glass! Check out the styles bellow. This figure hugging $34.86 classy broad from Lindy Bop can go from day to night. The downside, shipping to US will add $7.20 to your order. That said, for the styling this is still a great deal.